Home » What is Diabetes? » What is Diabetes? Researchers from the Mayo Clinic Arizona in Scottsdale showed that gastric bypass surgery can reverse type 2 diabetes in a high proportion of patients. They added that within three to five years the disease recurs in approximately 21% of them. Yessica Ramos, MD., said “The recurrence rate was mainly influenced by a longstanding history of Type 2 diabetes before the surgery. This suggests that early surgical intervention in the obese, diabetic population will improve the durability of remission of Type 2 diabetes. How many Americans have diabetes or pre-diabetes? About 7 million people with diabetes have not been diagnosed.Even though type 2 diabetes rates in the USA have risen sharply, Timothy Lyons, MD, who is presently Director of Research of the Harold Hamm Diabetes Center in Oklahoma City says that the disease is still not being detected promptly. He added that the lag in diagnosis involves both patients and doctors. In the United Kingdom there are about 3.8 million people with diabetes, according to the National Health Service. Diabetes UK, a charity, believes this number will jump to 6.2 million by 2035, and the National Health Service will be spending as much as 17% of its health care budget on diabetes by then. Diabetes is rapidly spreading in Southeast Asia as people embrace American fast foods, such as hamburgers, hot dogs, French fries and pizza. More Chinese adults who live in Singapore are dying of heart disease and developing type 2 diabetes than ever before, researchers from the University of Minnesota School of Public Health and the National University of Singapore reported in the journal Circulation. People with diabetes should not exercise – NOT TRUE!! Exercise is important for people with diabetes, as it is for everybody else. Exercise helps manage body weight, improves cardiovascular health, improves mood, helps blood sugar control, and relieves stress. Patients should discuss exercise with their doctor first. Fat people always develop type 2 diabetes eventually – this is not true. Being overweight or obese raises the risk of becoming diabetic, they are risk factors, but do not mean that an obese person will definitely become diabetic. Many people with type 2 diabetes were never overweight. The majority of overweight people do not develop type 2 diabetes. Diabetes is a nuisance, but not serious – two thirds of diabetes patients die prematurely from stroke or heart disease. The life expectancy of a person with diabetes is from five to ten years shorter than other people’s. Diabetes is a serious disease. Children can outgrow diabetes – this is not true. Nearly all children with diabetes have type 1; insulin-producing beta cells in the pancreas have been destroyed. These never come back. Children with type 1 diabetes will need to take insulin for the rest of their lives, unless a cure is found one day. Don’t eat too much sugar, you will become diabetic – this is not true. A person with diabetes type 1 developed the disease because their immune system destroyed the insulin-producing beta cells. A diet high in calories, which can make people overweight/obese, raises the risk of developing type 2 diabetes, especially if there is a history of this disease in the family. Diabetes diets are different from other people’s – the diet doctors and specialized nutritionists recommend for diabetes patients are healthy ones; healthy for everybody, including people without the disease. Meals should contain plenty of vegetables, fruit, whole grains, and they should be low in salt and sugar, and saturated or trans fat. Experts say that there is no need to buy special diabetic foods because they offer no special benefit, compared to the healthy things we can buy in most shops. High blood sugar levels are fine for some, while for others they are a sign of diabetes – high blood-sugar levels are never normal for anybody. 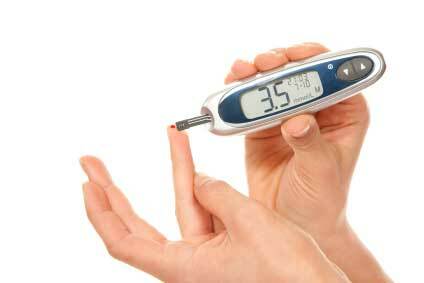 Some illnesses, mental stress and steroids can cause temporary hikes in blood sugar levels in people without diabetes. Anybody with higher-than-normal blood sugar levels or sugar in their urine should be checked for diabetes by a health care professional. Only older people develop type 2 diabetes – things are changing. A growing number of children and teenagers are developing type 2 diabetes. Experts say that this is linked to the explosion in childhood obesity rates, poor diet, and physical inactivity. I have to go on insulin, this must mean my diabetes is severe – people take insulin when diet alone or diet with oral or non-insulin injectable diabetes drugs do not provide good-enough diabetes control, that’s all. Insulin helps diabetes control. It does not usually have anything to do with the severity of the disease. Diabetes patients are more susceptible to colds and illnesses in general – a person with diabetes with good diabetes control is no more likely to become ill with a cold or something else than other people. However, when a diabetic catches a cold, their diabetes becomes harder to control, so they have a higher risk of complications. By diabetesdoctors in What is Diabetes? on December 6, 2012 .